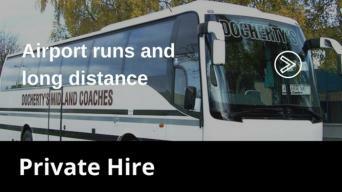 Family firm Docherty’s Midland Coaches has undergone far-reaching changes since one-time builder James took to the road in 1947 after investing in a single Bedford bus. His original transportation ferried mill workers into Auchterarder from the nearby village of Aberuthven and the daily run for schoolchildren in Perth and the “Lang Toon” took in the long-gone rail halt at Dunning. 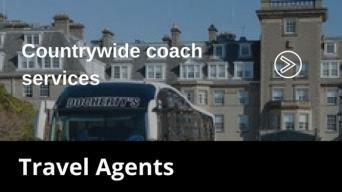 A 36-strong fleet of executive coaches is in demand from football clubs like St Johnstone, Falkirk and Montrose, leading hotels, including the nearby five star Gleneagles resort, major travel agencies and international tour operators. 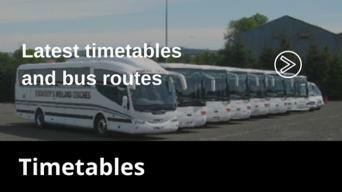 Whether it’s early morning airport, railway and school runs, business and sightseeing trips, or days at the races or on the golf course, Dochertys will provide the ideal coach to ensure a comfortable and relaxing journey.